Unfortunately, that is not going to happen. Yesterday, the EPA announced that it would be another week before they could make any determination about the safety of these waters. That is another week of ag lands drying, parched cattle, municipalities calculating reserve water supplies, raft and fishing guides sitting idle. Worse, though, is the fear and unknowing. At Sunday night’s public meeting, anger, frustration, and a deep sadness pervaded. What I believe ties all of these emotions together is fear. Fear of loss. Fear of uncertainty. Fear in the face of having to acknowledge we have lost, or perhaps never had, control. That which sustains our lives and our livelihoods, the lifeblood of our community, was ravaged in slow motion before our very eyes, and we were utterly powerless to help. As if it could not get worse, for some of us it was. We have long known that this disaster was perfectly predictable. It was inevitable. And though for decades we have tried to forestall it, we have failed. The historic mining district at the headwaters of the Animas has been degrading water quality in the river since mining began. Over the past 25 years, politics, egos, narrowly defined self-interest, and fanciful visions of mining’s return have kept necessary remediation at bay. We are all paying the price of losing that struggle. While we are still in the thick of emergency response, I cannot help but begin to lay the groundwork for the political fight ahead. Every community up and down this watershed has a right – a responsibility – to hold mining companies and the agencies that regulate them accountable for the complete remediation of historic mine wastes. Let’s keep our heads down and deal with the immediate crisis at hand. But in the moments your mind steals away to what next, commit. Commit to staying involved with the Animas River and historic mine remediation until our communities are finally protected. SJCA will be with you on every step of that journey. Julie – please make sure you are signed up for our emails and follow-us on Social Media (if you use it). That will be the best way to stay in touch. Please keep me updated all every thing concerning the Animas, how can I help, go to meetings, send letters … anything! Good post. In May of 2014, I asked SJCA about their thoughts on Superfund. I stated that I thought that by now – no Good Samaritan liability protection for volunteers, and the EPA breathing Superfund again – that La Plata County would file a suit against San Juan County to do some kind of cleanup, be it Superfund or some other mechanism. 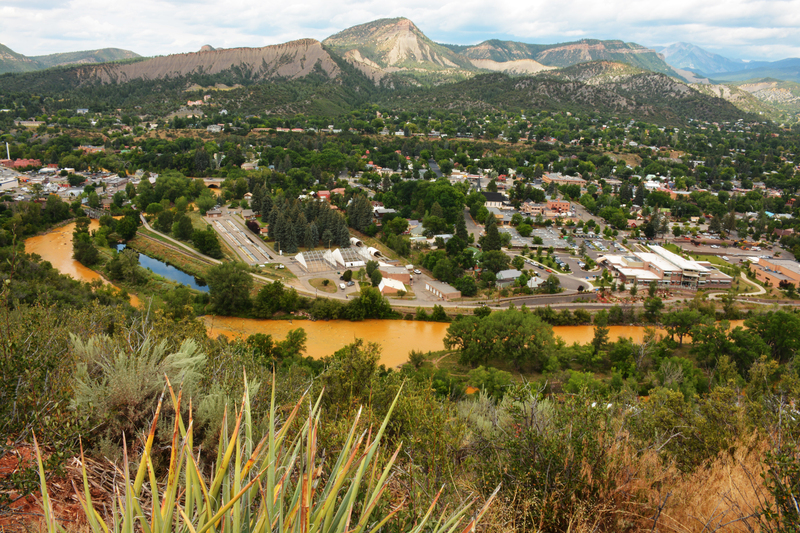 At that time, the Alliance was not ready to exert community, political and legal pressure to address acid mine drainage in the Upper Animas basin. While the Gold King blunder is sad and terrible, I am hopeful the Alliance will be successful in the goal above – to hold mining companies and the agencies that regulate them accountable for the complete remediation of historic mine wastes. The title to my first mine cleanup project in 2007 is, “It’s All About The Water”. Let me help you get the message out there – for the river. It’s my calling. Call me. I have a strong interest in trying to help in any way I can and have joined your organization to stay informed in your progress. Thank you for your help and interest. I asked Hikenlooper directly about Superfund designation yesterday, prior to his going to Silvertons’s to meet with folks there. While I get the sense he is on-board with that thinking, he expressed that “politically” he didn’t think the time of the disaster was appropriate to have that conversation, but said “maybe in 3 months I could come back and have that meeting. While I’m not sure I agree with him on the timing, I do want to hold him to his word on a future meeting.